Even the harshest critics of the late Syrian President Hafez al-Assad should appreciate him for his treatment of Richard Nixon’s vainglorious secretary of state, Henry Kissinger. 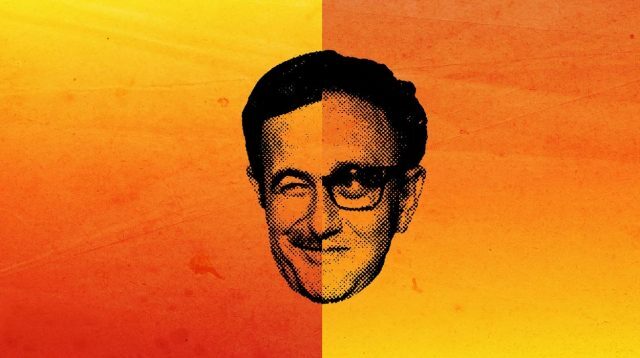 When Kissinger flew into Damascus on the evening of February 26, 1974, Assad made him wait for hours while he hosted dinner for Romanian dictator Nicolae Ceausescu. Only after midnight did he grant the American an audience. Throughout the meeting, Kissinger was seated opposite “a massive canvas of the Battle of Hattin, where the Muslim Sultan Saladin defeated the Crusaders, and marched to capture Jerusalem,” in the words of Bouthaina Shaaban, the author of a new book titled The Edge of the Precipice: Hafez al-Assad, Henry Kissinger, and the Remaking of the Modern Middle East. It gets better. Assad lodged the Kissinger entourage in the Diyafa Palace, a modest dwelling where in 1958 America’s nemesis Gamal Abdel Nasser had proclaimed the United Arab Republic, a union of Syria and Egypt. Thirty minutes into his slumber, Kissinger woke to the morning’s call to prayer from the mosque next door. Shaaban writes that none of the assaults on Kissinger’s self-esteem — the dinnertime delay, the Saladin painting, Diyafa’s link to Arab nationalism and the early wake-up — was accidental.Shaaban, a former professor of English literature who is media and political adviser to Assad’s son, Bashar al-Assad, provides for the first time a Syrian perspective on the famed Assad-Kissinger negotiations. Their final agreement framed relations between Syria and Israel, as well as Syria and the U.S., for nearly 40 years. Kissinger, other Americans, and Israelis have written about the talks, but this is the first Syrian account of them. Shaaban had unique access to the Syrian Presidential Archives with “the minutes of all their meetings and the messages they exchanged either through diplomatic channels through the U.S. ambassador in Damascus or via diplomatic channels.” The archives contain transcripts from a tape recorder that turned in full view of the participants throughout Kissinger’s 28 visits to Damascus in 1973 and 1974. This book is not, nor does it purport to be, the definitive story. Like the concealed microphones in Nixon’s White House, it provides a corrective to the legend Kissinger fostered of himself as latter-day Metternich. Kissinger intended the second volume of his memoirs, Years of Upheaval, to be the final word on his haggling with Assad. Fortunately, it is not. Edward Sheehan’s masterful The Arabs, Israelis, and Kissinger, although written with Kissinger’s cooperation, earned its subject’s wrath. Kissinger said he “was ‘thunderstruck’ to see some of his conversations with foreign chiefs of state in print.” If Shaaban’s book, published in Beirut, reaches American readers, the thunder should strike again. Kissinger came late to Mideast diplomacy. As Nixon’s national security adviser from 1969 to 1973, he obstructed negotiations to resolve the Arab-Israeli conflict. Eyeing William Rogers’s job as Nixon’s secretary of state, he discouraged moving beyond the ceasefire that Israel, Jordan, Egypt, and Syria had accepted under the Rogers Plan to end the “war of attrition” that was bankrupting Israel. The region was changing in September 1970, the month that King Hussein crushed the Palestine Liberation Organization in Jordan and Nasser died. His successor was his vice president, Anwar Sadat. Two months later, a bloodless coup put Syria’s minister of defense, Hafez al-Assad, in the top job. The door to diplomacy opened, but Kissinger slammed it shut. Sadat approached Nixon and Kissinger through a variety of emissaries to offer peace for territory. Kissinger ignored him, believing the Israelis could defend the Sinai Peninsula from behind their “impregnable” Bar Lev Line on the east bank of the Suez Canal. Again and again, Sadat threatened war if the Americans failed to budge the Israelis. Kissinger believed Sadat was bluffing and rebuffed him. When Sadat expelled all of the Soviet Union’s 15,000 military advisers from Egypt in 1972, Kissinger refused to acknowledge the Egyptian’s strategic shift. Despite warnings from King Hussein of Jordan and various intelligence agencies, the Syrian and Egyptian armies took Israel unawares when they attacked on October 6, 1973. The Egyptians reduced the Bar Lev sandbanks with water cannon, threw down pontoon bridges, and crossed into the Sinai. Syrian tanks and infantry poured into the occupied Golan Heights. Only American emergency supplies, the call-up of reservists, and a lighting run to the west side of the canal saved Israel’s gains of 1967. Kissinger, who had replaced Rogers two weeks before the war, stepped in to clean up the mess for which he was largely responsible. He flew to the Mideast with a twofold purpose: to exclude the Soviets from peace negotiations and to protect Israel. Sadat threw himself into Kissinger’s arms, offering to go along with his diplomacy wherever it led. Assad was a tougher nut to crack, as much due to his country’s position as what Nasser called the “beating heart of Arabism” as to his innate stubbornness. Kissinger pioneered what would be called “shuttle diplomacy,” carrying messages between the Israelis and their Arab antagonists in Cairo and Damascus while making his own suggestions. There were arguments over prisoners of war, how much territory Israel would concede, where to place lines of disengagement, how many weapons would be allowed on both sides, and the status of United Nations observers. Reporters like myself on the ground in Damascus had no idea what Kissinger was promising behind the palace doors. He briefed the press corps that accompanied him on the plane from Washington, whom we called his “trained seals,” with whatever spin, true or false, he wanted to read in the morning newspapers. Kissinger had negotiated the Israeli-Egyptian disengagement in eight days in January 1974. “Unlike the relatively short negotiations that led to the Egyptian-Israeli disengagement agreement,” the State Department website history notes with considerable understatement, “negotiations for a Syrian-Israeli disengagement proved far more arduous and took much longer.” Unlike the Sinai, the Golan had hundreds of villages, thousands of displaced inhabitants who longed to return home, and proximity to the country’s capital. From the Israeli point of view, the Syrian lines threatened their illegal settlements as well as parts of Israel itself. And Assad, unlike Sadat, was no pushover. Kissinger cajoled, lied, and manipulated. In the end, he got what he wanted: a deal that gave Israel its most peaceful border until the Syrian civil war changed the game. He also achieved an American monopoly on Arab-Israeli negotiations that abandoned comprehensive peacemaking in favor of what he called “step-by-step” diplomacy. The steps led to the Lebanese civil war, Israel’s many invasions of Lebanon, the creation of Hezbollah and the expulsion of Israel from Lebanon, unrestricted Israeli colonization of the West Bank, the Palestinians’ intifada uprisings, and the continuing degradation of Palestinian life. Indeed, the situation is worse than it was when Kissinger left Harvard for government service in 1969. Nothing in The Edge of the Precipice, despite its portrayal of Kissinger as a shrewd if mendacious mediator, invalidates Hitchens’s sage advice. I agree with you on all points. However, I’d twice qualify your very last point: (1) The quote applies with equal force to Hitchens himself,” and (2) I’m quite sure Hitchens would not have recoiled at meeting Kissinger. If he liked Bush, admired Wolfowitz and revered Blair (his “Churchillian” speeches during the attack on Iraq), it’s really only a flea’s hop to Kissinger. Incidentally, Hitchen’s book on Kissinger is just a footnote to Seymour Hersh’s truly magisterial THE PRICE OF POWER, a book that had a powerful impact on me when it came out.